With the current chaos in our world, amplified and distorted by the media 24/7, it is easy to get caught up in the turmoil. Today, more than ever, we have to believe better days are coming. Repeat this thought often and share it with others. 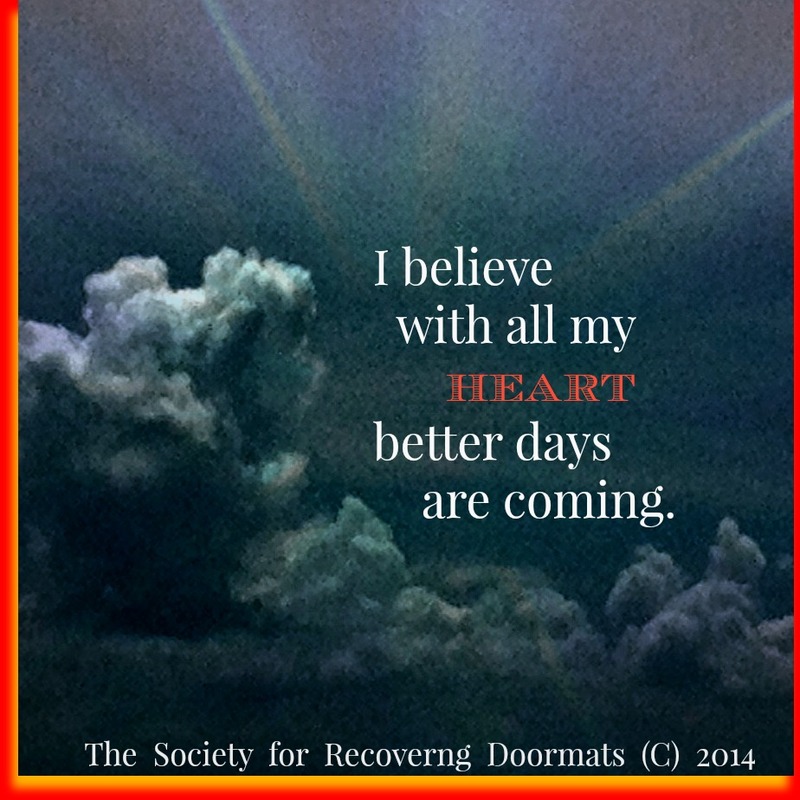 As recovering doormats we can’t let these turbulent times send us back to hiding within our comfort zones. We can’t use it as an excuse not to stand up and move forward. I believe with all my heart better days are coming and encourage all to do the same.